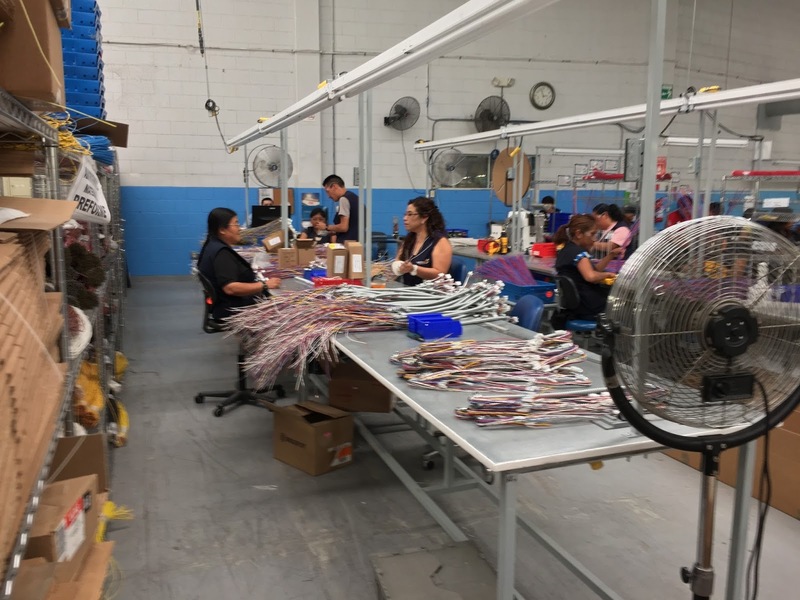 This past week, I took a group business tour of a few manufacturing factories in Tijuana, Mexico. 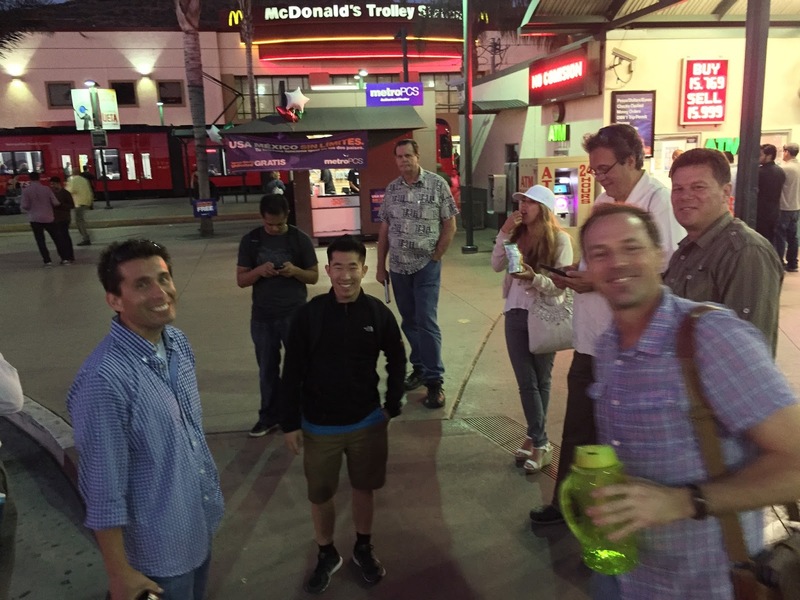 The tour was part of the San Diego Inventor's Club and Kickstarter Meetup that I've helped coordinate for the past year and a half. 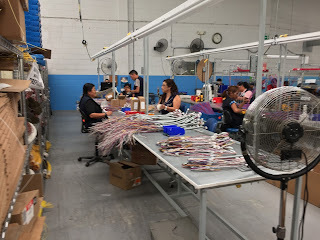 We visited a few different factories that specialized in textiles, injection molding, and electronics. Two of the factories looked as I expected. But one looked ultra-new and high tech with impressive security. After checking the bus's undercarriage for bombs, this high security facility, which required all employees to back into their parking spots, carefully reviewed everyone's paperwork. A few people were denied entry, since their paperwork wasn't in order. 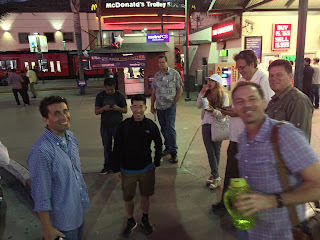 The key purpose of this tour was for members of our meetup to establish connections with companies in Tijuana who could make the products they're fundraising for on Kickstarter. The idea, rather than outsourcing to China, is to explore nearshoring opportunities in Mexico. What made this a no brainer for our group of two dozen is that the Tijuana EDC arranged for our transportation, tours, and lunch. I made an interesting group observation at the end of the tour. Our tours went smoothly, but crossing the border back into the United States is always dicey in terms of how long it will take. It can take less than 30 minutes or it can take three hours, or longer. Our bus dropped everyone off at the border crossing building and it took us less than 30 minutes to walk across the border. Then we waited on the American side of the border for our bus for more than an hour. At first, we weren't sure where our bus was until we walked up to an overpass, to peek into Mexico, and saw our bus sitting idle, awaiting inspection. At this point, we had had a long day after spending 12+ hours on the bus or on tours. This is when a few people's patient was starting to wear thin and I noticed the difference between the true leaders, the followers, and the "not a team player" people. In the corporate world, leaders are managers and followers are individual contributors. Career individual contributors focus inward, since they aren't responsible for any direct reports, while managers focus outward. True leaders set the example and don't needlessly complain, "Where the hell's our bus? It's stuck at customs? This is ridiculous. Don't you think this needs to be fixed?" We've all seen it before, it's useless complaining from high maintenance people which makes the situation worse. This minor observation is one I take for granted given my formal leadership training and experiences. But a little stress, put on people when they're tired or hungry, brings out tantrums. Stress Can Make You Behave Like a Toddler is a perfect description. Fortunately, for us, mob mentality worked in our favor since most everyone was a strong leader and they didn't bite the hook cast out by the complainers. There's a new joke: Before marrying someone, you should sit them down in front of a computer with a slow and intermittent Internet connection to see how they behave.